Looking back at every season since 1987-88 and the quarterfinalists of Europe’s premier competion. 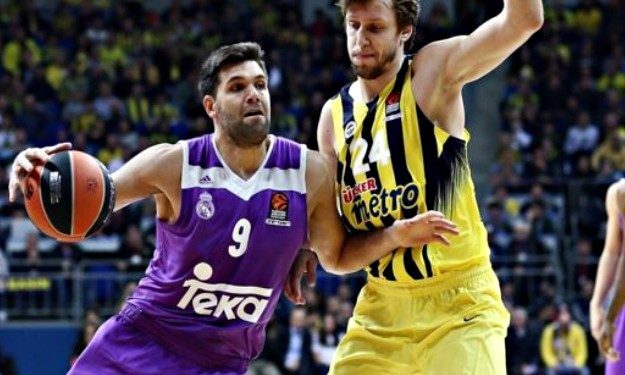 Eurohoops takes a stroll down memory lane ahead of the 2019 EuroLeague playoffs. Following their Regular Season success, the eight teams will attempt to secure a Final Four spot, but before the postseason action we take a look at every team that made it to the quarterfinals since the 1987-88 campaign. Many clubs have participated in the EuroLeague, a selected few have been included in the top eight of the season. We’re ready for the 31st playoffs stage ahead of the 32nd Final Four. Two playoffs stages were set in 2001, one by EuroLeague and by SuproLeague, while in 2002, 2003 and 2004 no playoffs series took place, as the Final Four spots were awarded through the Top 16 stage. Forty-seven clubs from fifteen different countries have formed the 120 series played to date, which were best-of-three from 1988 to 2008 and best-of-five since. Spain is on top of the list with 57 quarterfinals appearances from eight different teams, Greece, Italy, Turkey and Russia follow rounding up the Top 5. After the rankings by country, Eurohoops presents all forty-seven clubs that participated at least once in the playoffs. First the teams from 47th to 11th place and afterwards the Top 10. Teams tied were ranked according to EuroLeague titles won since 1988, finals appearances and Final Four berths.